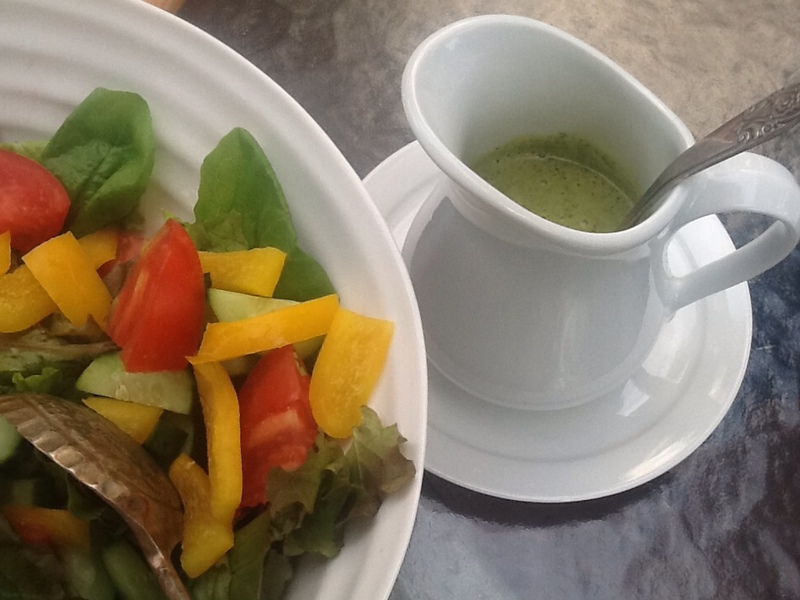 The House Dressing, Green Edition | I Am Not A Restaurant! Probably for the first time ever, I tried to measure out ingredients, but adapt to your own taste. Note: most recently I used this dressing with a minimal amount of mayo in chicken salad – a winner! Second note: it keeps really well if fridge. Big batch it! Sep25September 25, 2013 • By Betsy Karetnick • This entry was posted in Dish of the Day, Gluten-free, Kitchen Help, Recipes, Salad and tagged salad, salad dressing, vegan, vegetarian. Bookmark the permalink.